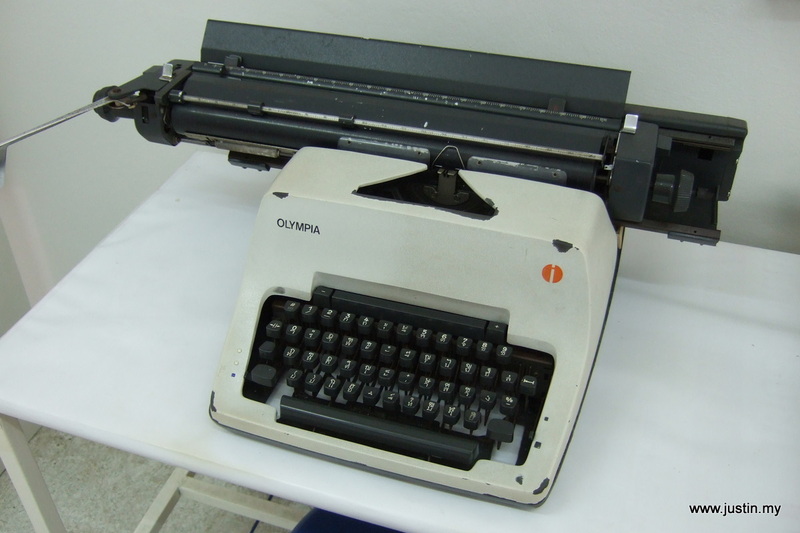 Thai old style typewriter from Olympia. According to Sarit Pattajoti (1966), the first English typewriters imported for use in Thailand were those made by Hammond and Remington. Not until 1891 was the first Thai typewriter invented by Edwin Hunter, the second son of Samuel Gamble Macfarland, an American missionary despatched to Bangkok.